Experience that grows on trees! Raceview Sand & Gravel is a father and son partnership. 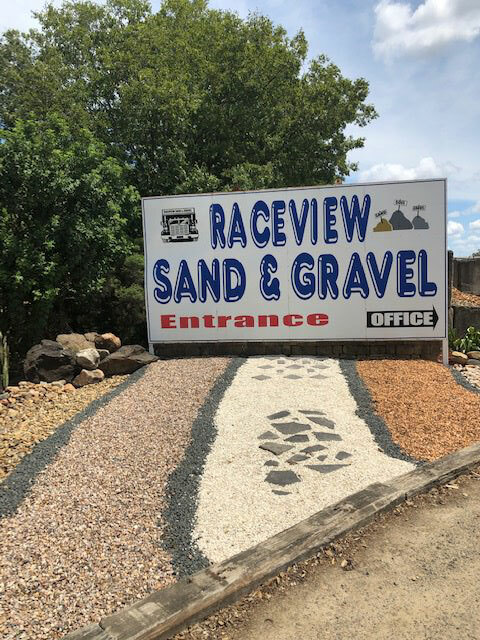 Rodney & Mark Bullock have been in the landscaping supply business in Boonah for over 40 years, and expanded 30 years ago with the opening of Raceview Sand & Gravel in Ipswich. When Rodney started the business, he supplied materials to the building industry. At the time, there was a lot of construction going on in the Ipswich area, and Rodney felt there was a need for a larger choice of local landscaping suppliers. This is how it all began, and right from the get go, the business went full steam ahead. When Mark (Rodney’s son) came to the business, he introduced a wider variety of landscaping products. Now the business provides a massive selection of products to the householder, right through to the builder, plumber, and landscaper. Raceview Sand & Gravel has some of their own quarries that produce materials. This makes their small business more than competitive even on larger jobs, well worth a quote. Both landscaping yards offer friendly service, with staff that are more than willing to answer any questions you have. It’s our committed team that has made the business successful. For landscape supplies in Ipswich, you can’t beat Raceview Sand & Gravel. We’d love to assist you with your next landscaping project. Check out our range of products, or give us a hoy, so we can answer any of your questions. We deliver landscaping supplies to most areas – Charges Apply!